Results: 1 to 10 of a total of 185 results. 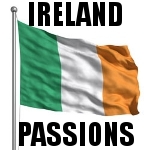 I am an admirer of Irish culture very alluring I have a passion for the beauties that are in Ireland and descendants from Ireland. I love to read up on Irish culture before the British and the catholic empire because I believe a people are defined by their true roots and not forced conversion, not to mention the highest population of redheads in the world. Does tonythetailor belong in this group? Does kaylee67 belong in this group? Love each day Hi, I am a student, artist, tattoo designer (currently, for lack of time, just for friends), adventurer, musician, traveller...just me. Does loveeachday belong in this group? Does yourmrright belong in this group? My Ancestors Are From The County Cork I am here because I would love to talk about where my grandparents and such has come from. Does sexyyankeegirl belong in this group? Does sonic91 belong in this group? Does bearcielo belong in this group?